Flanders will soon have a new radio station: NRJ has announced that it will take to the airwaves on 3 September. The Antwerp-based station will play rock and pop hits “no more than five years old”. 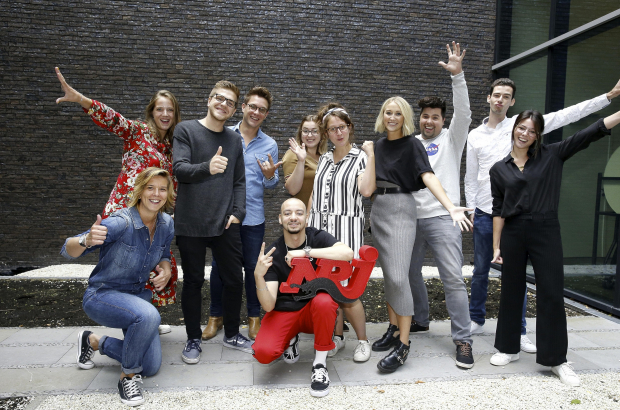 “For the first time since Nostalgie – exactly 10 years ago – is there a new national radio station in Flanders,” said Tom Klerkx, director of Nostalgie and the new NRJ. The new station is licensed to operate under the name of the NRJ French media group, but is “completely independent,” said Klerkx. Flanders’ NRJ is 50% owned by Mediahuis, which owns Nostalgie, and 50% by De Vijver Media. The media groups also co-own TV stations Vier and Vijf. NRJ will broadcast from the Mediahuis building in the Linkeroever area of Antwerp, as does Nostalgie. In addition to online and digital radio, it will reach municipal frequencies across the region. “We will reach 70% of Flanders,” said Kristof Demasure of De Vijver. A region-wide frequency isn’t available, he noted, “but we are in line for one if any come free in the future”. All of the radio’s staff are 20-somethings from Antwerp from diverse backgrounds. Six of the 11 staff are the result of a massive talent search last month that saw 250 young people audition.